Song Kim came to IU as a biochemistry major, supported by a Cox Research Scholarship that required her to engage in undergraduate research throughout her four years. Initially, she joined a biology lab, but increasingly became fascinated with the brain. The director of the Cox program suggested that Kim contact Gill Chair Ken Mackie, as he had previously mentored other Cox Scholars. It was a perfect fit – not only with Kim’s lab work examining the expression profile and genetic correlates of a protein involved in endocannabinoid synthesis, but also because she was exposed to such a wide range of neuroscience. Song Kim, Cox Scholar, Elvis Stahr Distinguished Senior, and former student in the Mackie Lab. Kim also had the opportunity to present her own research through a poster at the Gill Symposium, an experience she credits with preparing her for the challenges of medical school, which she now attends at the University of Pittsburgh. Kim emphasizes that this grounding is critical not only for excelling in the medical school environment but also for performing effectively in the health care field. “I think it’s really important for physicians to have a strong understanding of the scientific method so they can apply it to their clinical work,” she says. 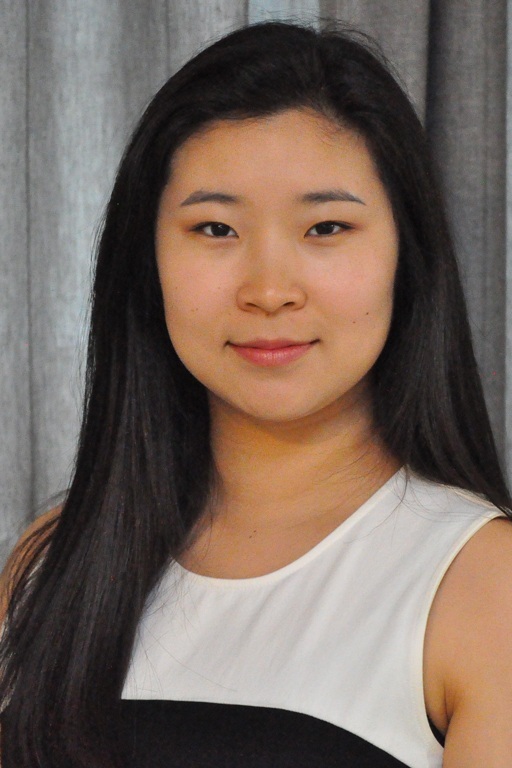 Her experience at the Gill Center has also given her a head start in her medical field of interest: Kim is currently shadowing neurologists and neurosurgeons in the hopes of pursuing a career in brain health.